Looking for something? Here's my sitemap to help stop you getting lost! "The best way to keep up-to-date." 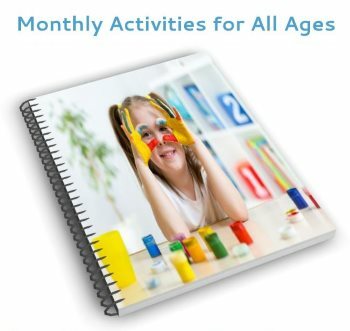 Click on the RSS feed on the Home Page to keep up with all the latest curriculum ideas, resources and activities to help you with hands-on homeschooling. "The fun way to chat." Come join our growing and supportive community at Homeschool Activities Facebook page - meet new people and make new friends. Come and join me on Pinterest. I've got lots of boards to share where I've tried to pick out some of the best craft, art and science ideas for kids as well as homeschooling for free. You can also join us on the Awesome Group and share your favorite kids activities..
Having fun on Google+. Add me to your circle! Find out why my Mom and Dad became homeschooling pioneers and get living proof that teaching your child is the best decision you ever made. A full picture of the advantages and disadvantages. With up to 30 children in a class, it's impossible for school to do what you can do at home. The negative effects of peer pressure have been well documented. This is your child and their childhood - you don't get another chance at either. Homeschool let's you make the most of the time you have together. I'm in the rare position of seeing home school from both sides - as a child myself and as a teacher to my children. See why I agree with the Award winning teacher, John Taylor Gatto, that school can be a twelve year jail sentence. More on why I believe that school is not the best place to send your child. Parents talk about the effects of school bullying and why they think teaching their child at home is so much better. Yes, there are some! Here's a list of the cons that might put you off. Reasons why homeschooling is bad. Just to let you into a secret: homeschool isn't magic! The feeling of responsibility can weigh you down. The socialization argument: why you have no need to fear the biggest bugbear of them all. A celebration of how home school can give your child a much more natural and positive way of making friends. Hear from the people who should know what the cons are - homeschool parents themselves. The A to Z guide of how to start. Poses the vital question: Do you have to be a qualified teacher? Are you up to the job? Gives an overview of the most important information you'll need. Shows that we may have been better off educationally BEFORE the arrival of school. Gives important tips about how to steer your way through homeschool requirements and shows you how to find out about the laws that affect you. Facts which show that an increasing number of people are choosing home school and why they do so. Statistics proving that homeschool students consistently perform ABOVE AVERAGE academically. Further evidence showing why home school learning works so well. Homeschool Mom Wisdom. Free e-books with personal stories to help reaffirm the reasons why teaching your child is best. A guide to beginning homeschool. John Holt has a lot of wisdom to share when you come to work how to start homeschooling. Homeschooling And College.Will homeschooling disadvantage your child when it comes to higher education? Tips for making a Home School Schedule. More tips on how to make a home school schedule. A fly-on-the-wall view of our daily schedule to give you a real-life example of how to homeschool. Part one of our guide to the best free homeschool worksheets and printables. Part two of our guide to the best free homeschooling worksheets and printables. An overview of the main home school regulations. Links to some of the best free homeschooling sites for resources and materials. A guide to the best free online homeschooling resources. The pick of the best free choices. What do you do when your kids won't do any school work? What to do if you get reported for child neglect. Free e-book with the ten best kids science experiments that won't let you down! I've picked these fun and easy experiments specially for you after years of teaching my kids at home and hunting through book after book. Shows you why teaching science is nothing to be afraid of and shares with you the best of our free homeschooling curriculum. Bring your homeschooling science curriculum alive in the age of the dinosaurs. Make drawings, download maps and delve in the coal scuttle to uncover the story of Life on Earth. Part two of our dinosaurs for kids project. Discover Life on Earth, uncover a freshly laid egg and keep a pet from the age of the dinosaurs. Free dinosaur coloring sheet and a video of a baby hatching! Marble your own dino egg, make a pterosaur fly and build a dinosaur robot from trash. Measure blood in a bucket and make a human eyeball. Join us in the rainforest to meet the largest spider in the world, turn a pineapple into a bromeliad and listen to the animals at night. Take your kids under the sea with our free homeschool unit studies. Paint a sea scene, try out water experiments and watch Monterey Bay Aquarium's live kelp cam. How To Make A Terrarium. Caring for living things is a great way to bring science to life. See how to make an easy cactus terrarium and a container for carnivorous plants. Build A Solar System Model. Build a homeschool model solar system. Not just for space fanatics but for any kids that like getting their hands messy. Enjoy the yucky side of homeschool science as you learn how to make slime. Have fun learning the properties of silly putty. How To Make A Volcano. One of those fun experiments for preschool watching a volcano erupt. Grow beautiful sugar crystals and enjoy some tasty rock candy. Dig up a dinosaur and set up your own home school archeological dig. Free butterfly life cycle sheet and information to help you hatch your own pupae. Easy surface tension experiment using milk and food colors. How To Make A Lava Lamp. Space activities and resources, with a link to a remote telescope. Build your own Voyager space probe. Guide to our top three free math worksheets. Fractions can be the end of math as far as some kids are concerned; see how we've used games, candy bars and even a child's watch to bring parts to life. Ideas to give kids a feeling of why geometry has formed such an essential part of our lives for centuries with shapes to make and a guide to the best interactive geometry sites. From making board games to measuring a rabbit hutch, lots of practical ideas which show kids that adults really use all that number stuff. There are so many free sites to choose from you can waste lots of time looking! Come and see our favorites. Got a website your kids love? Tell us your best Online Math Games For Kids. An overview of your homeschooling curriculum choices with tips for how to save money before you buy. Ideas for fun math all the way from Preschool to High School. Kids are never too young to begin learning to count and you can get yours off to a flying start with ideas from music to I Spy. Make a butterfly and eat your own Gummy Bear bar graph. Play shop and see board, card and dice games to help your child build a natural love of math. Hands on math as you meet the locals by doing a dog survey in your local park, get out the lego and make models. Make a time clock and a kids math game that really works. Fun math for kids with our favorite board games. How to make your own game for free. Our guide to the best. Lots of ways to learn the times tables so you can find the method that suits your child best. Lots of activities to help encourage inspiration; see how Top Ten Disasters caught William's imagination. More writing activities, including fantasy maps and letters to Pet Pals. See how to encourage kids writing with a fantastic project called: My Life In A Box. Hints to get your kids writing, including the little and often approach and finding the right prompts. Free story writing worksheets for all ages. Be a vet, get raided by pirates and imaging bringing up a baby dinosaur. How to make a lapbook with lapbooking ideas for younger children including Zoos, ocean creatures and dragons. More lapbook ideas, showing you how to make great lapbooks on dinosaurs and life in the rainforest. Handwriting suggestions to help your kids.